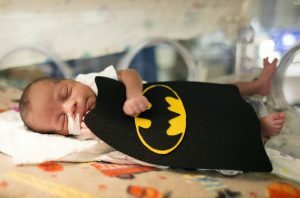 The baby of the neonatal intensive care unit (NICU) in the Santa Clark Hospital, Kansas City, Missouri, will go to Halloween at Halloween instead of dressed infant animal costume and traveling with family and friends. But that does not mean that the holidays will not be special. 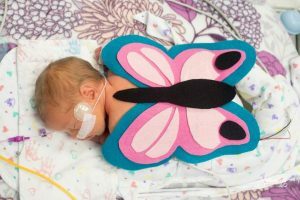 Nurses from the hospital and March 3 volunteers created handmade Halloween infant animal costume for more than 30 babies of NICU. “We’re just trying to create a normal feeling for our parents,” said Michelle Manuel, director of media relations at San Luke. The parents of the baby chose the infant animal costume clothes that they thought best reflected the child’s personality. There are ladybugs, butterflies, baseball players, not surprisingly, a lot of superheroes. That’s because “these are our NICU super baby,” Manuel said. After the baby dressed, three Samsung volunteer photographers took the baby’s first Halloween photo. All three photographers are mothers of the former NICU baby, so working with these tiny problems is particularly meaningful for them. The babies were also given a mini-hand hooked pumpkin filled with infant animal costume, food, a Halloween book, and a “mischief or biting” card featuring “Baby’s footprints”. Manuel said the Halloween surprise was a big response, and the group was planning for the next big baby campaign.